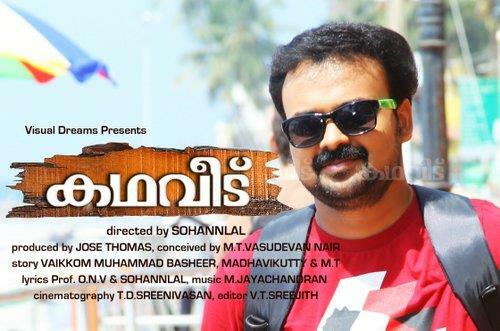 Kunchacko Boban upcoming Malayalam movies in 2013, complete list are given here. The new releases of of Kunchacko Boban are 'Motorcycle Diaries', 'Kadha Veedu' and 'Pullippulikalum Aattinkuttiyum'. Another project 'Law Point' is waiting for his dates. Read more about the upcoming Malayalam movies of Kunchacko Boban here. It has been a good time for Kunchacko Boban in Malayalam movie industry. After his come back to Malayalam the actor is very active with both short length and full length characters in Malayalam movies. Shedding his romantic image, Kunchacko Boban is now seen doing more experimental stuffs. His new appearances and characters are accepted positively by the audiences. He is gearing up for few more promising movies in 2013. 'Pullippulikalum Aattinkuttiyum', 'Kadha Veedu' and 'Motorcylce Diaries' are his upcoming new releases. The shooting of these movies are currently going on will be released in nearby time. 'Law Point' is another new project of Kunchacko Boban under per-production. The actor is having a very busy schedule and has to drop some good movies due to this. Read in details the upcoming movies of Kunchacko Boban below. Lal Jose's 'Pullippulikalum Aattinkuttiyum' is one of the most anticipated movie of Kunchacko Boban this year. The shooting of the movie is on full swing. It will be the next release for Kunchacko Boban, probably in the August. The movie is set in the scenic beauty of Kuttanada and will tell the story of a man who is stuck with his three elder brothers. Kunchacko Boban's protagonist character is a boat owner. He buys boat with the loan taken from a bank. Wherever he goes his brothers are always there to make unnecessary issues against him.They have become his headache – both at home and outside home. His attempts to escape from these brothers are captured in this flick with a taste of humour in it. Namitha Pramod is the heroine of the movie and she will essay the role of a dancer. Irshad, Shijo and Joju will appear as Kunchacko Boban's brothers in the movie. 'Pullippulikalum Aattinkuttiyum' is written by M Sindhuraj. The movie is jointly produced by Shebin Baker and Sulfi Asees under the banner of Balcony Silks Entertainment. Another highly talked upcoming Malayalam movie of Kunchacko Boban is 'Motorcycle Diaries'. The movie is directed by 'Traffic' fame Rajesh Pillai. Even the theme of this movie has already stirred huge expectation on it. The movie is about a the emotional attachment of a motorcycle with two people- one being played by Kunchacko Boban and the other character is played by Nivin Pauly. Kunchacko Boban is the first owner of the bullet and after few years he is on his way to trace his motorcycle. The story of the movie will be told through the eyes of motorcycle and the journeys it makes. Shooting of 'Motorcycle Diaries' has already started and it will be Kunchacko Boban's onam release. Kunchacko Boban and Kavya Madhavan are the lead actors in Sohanlal's 'Kadha Veedu'. Bengali actress Rituparna Sengupta makes her debut into Malayalam with this movie. Her character in the movie is that of a housewife who dies, but still lives in the memory of her husband and former lover. Lal, Biju Menon, Manoj K Jayan and Mallika also come as important characters in the movie. The story of 'Kadha Veedu' is taken from novels of famous writers like Vaikom Muhammad Basheer, Madhavikutty and M.T. Vasudevan Nair and the script is conceived by M.T. Vasudevan Nair. The movie is produced by Jose Thomas under the banner of Visual Dreams. 'Law Point' is a comic thriller directed by Lijin. Kunchacko Boban dons the role of an advocate named Adv. Sathya in this movie. The story of 'Law Point' is about Adv. Sathya and the mind game he plays against the female lead an issue come up between them. Prathap Pothan and Nedumudi Venu are also part of the cast. 'Law Point' is penned by Devdas and will be produced by David Kochupally. Kunchacko Boban was reported to don the lead role in Major Ravi's upcoming project. It is a story based on Indian Navy. The tight schedule the actor having right now has forced him to opt out from this project. Kunchacko Boban's fans are on high expectation with the list of his upcoming Malayalam movies. The actor is ready to continue his successful run. Films like 'Motorcycle Diaries' and 'Pullippulikalum Aattinkuttiyum' are from two of the highly successful directors of Mollywood.